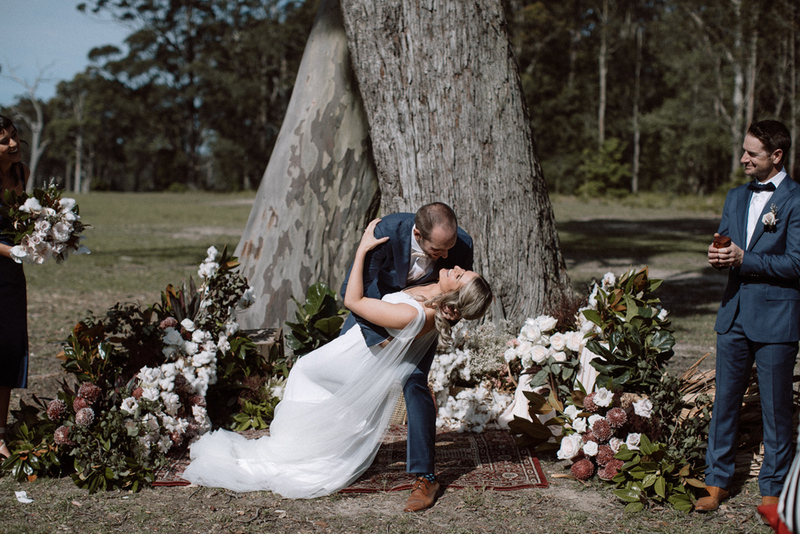 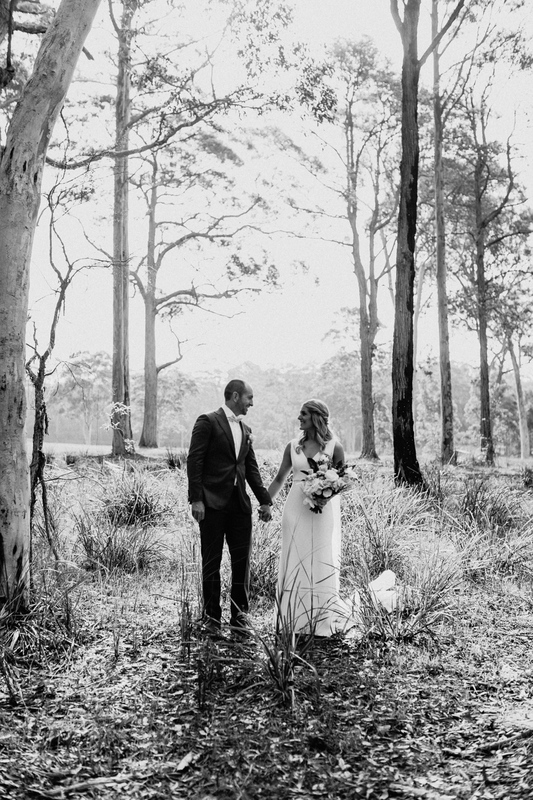 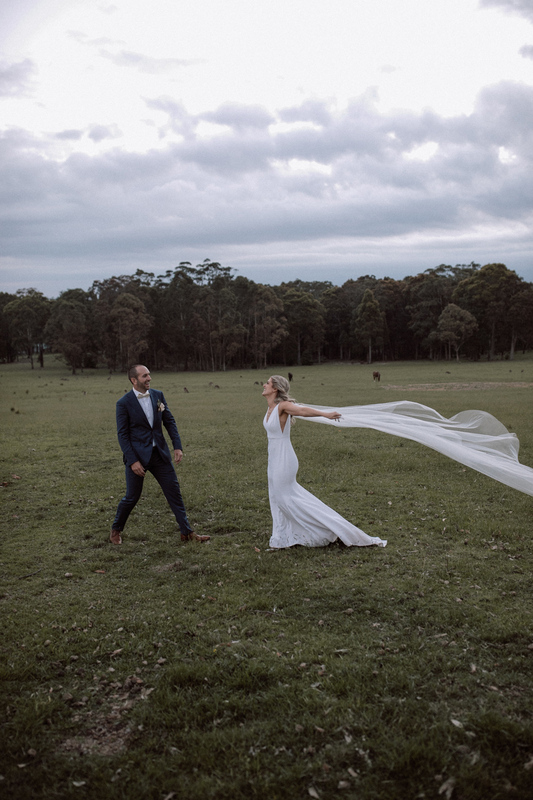 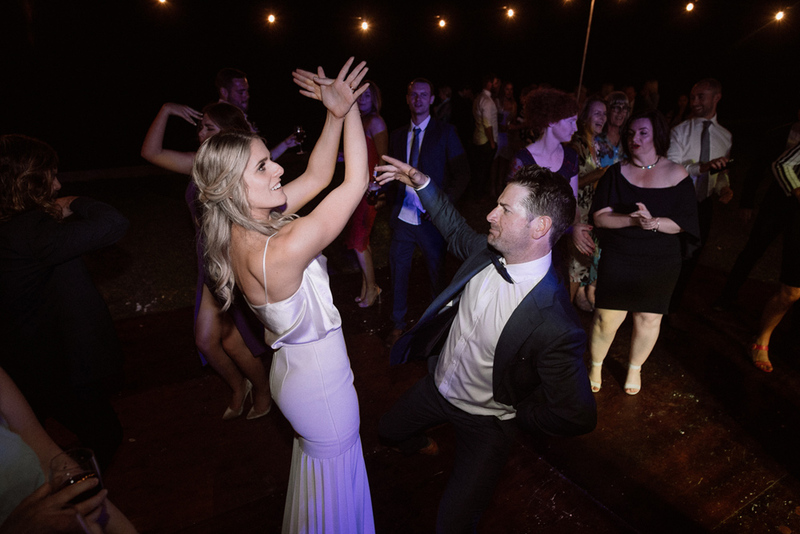 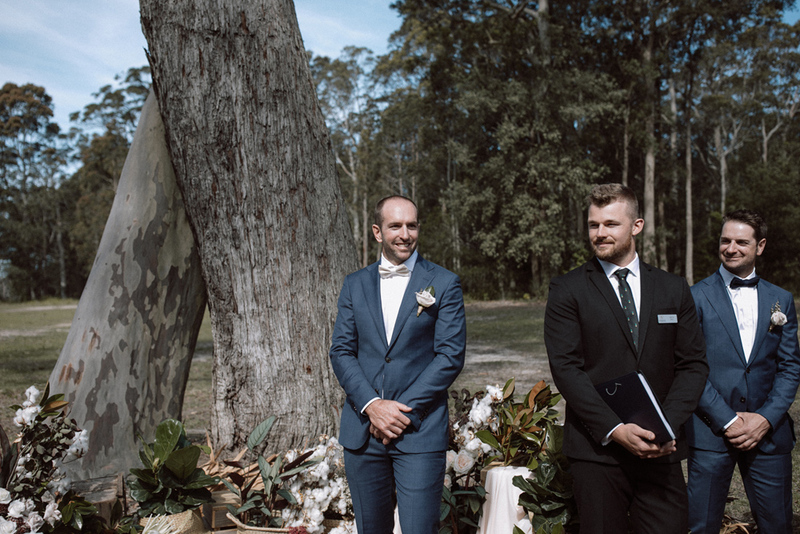 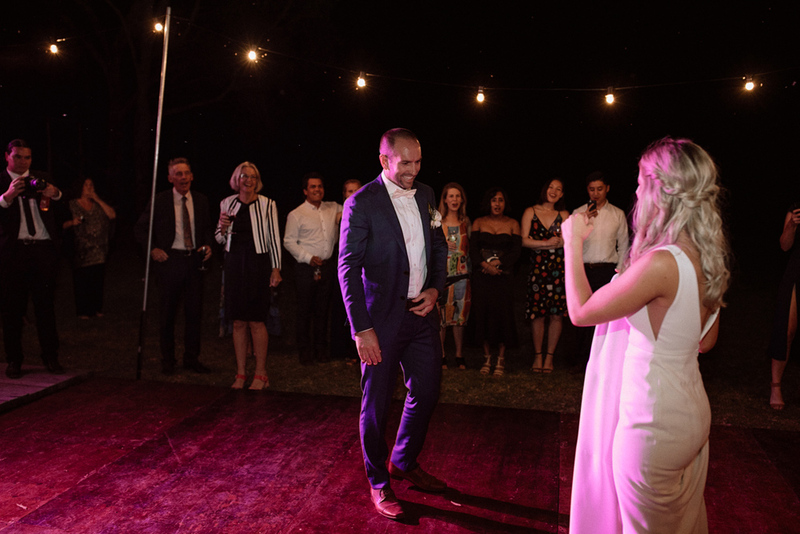 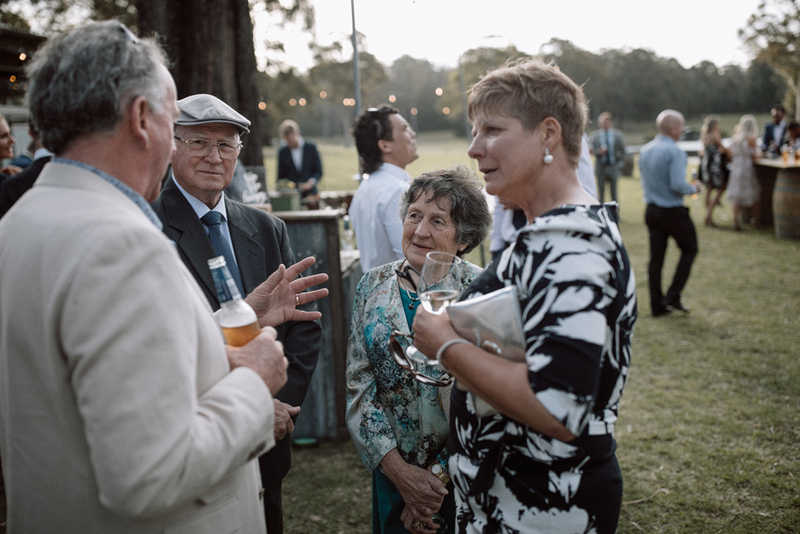 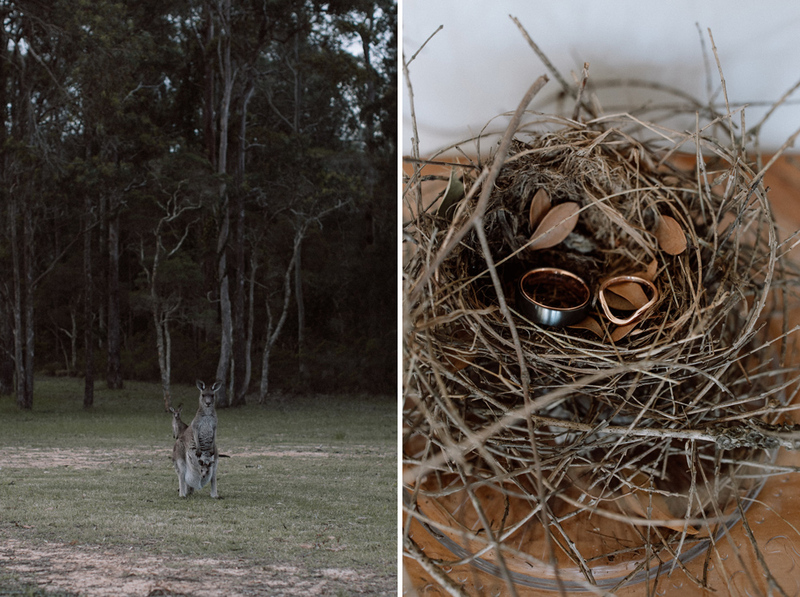 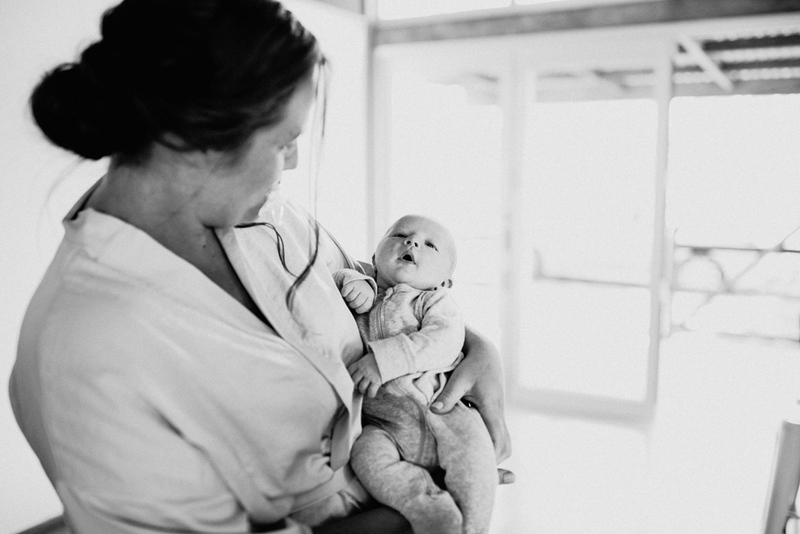 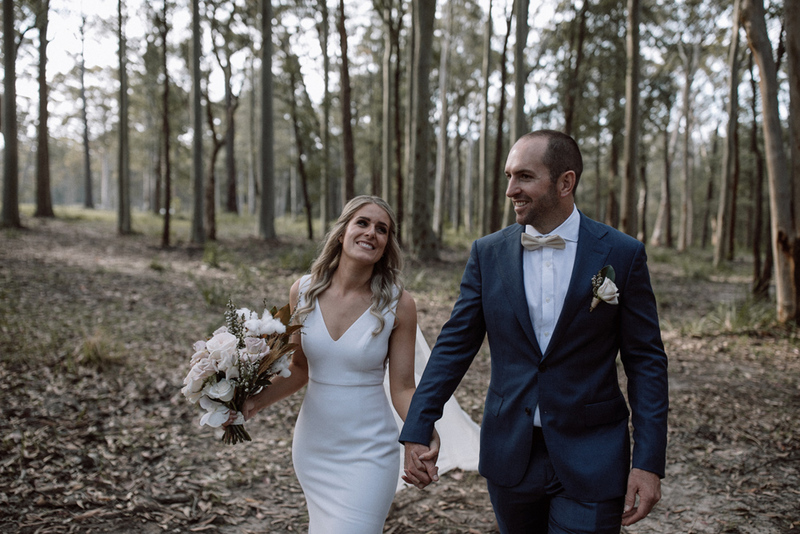 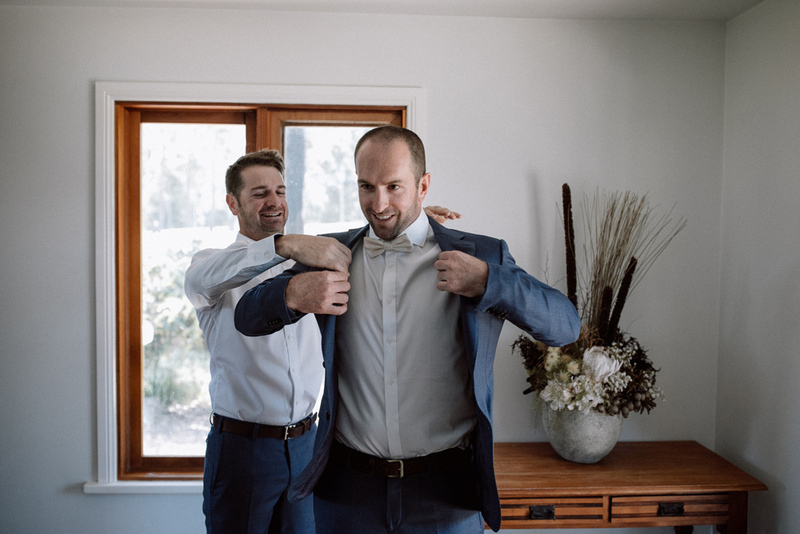 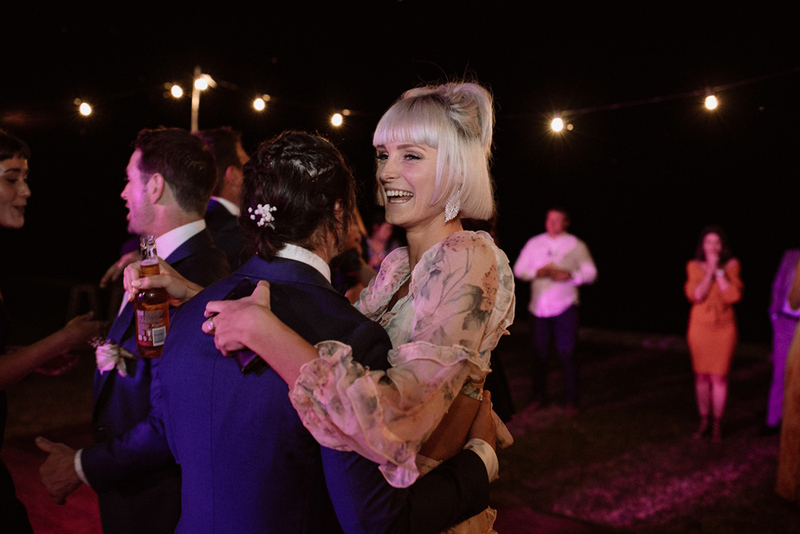 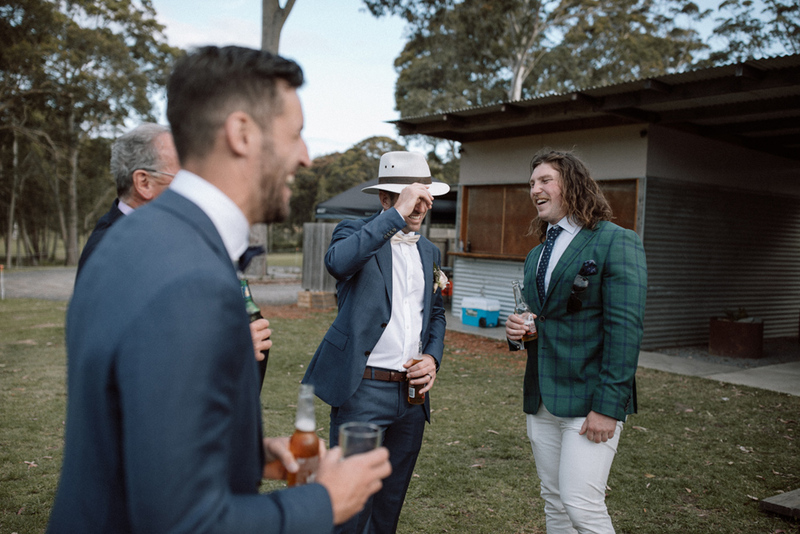 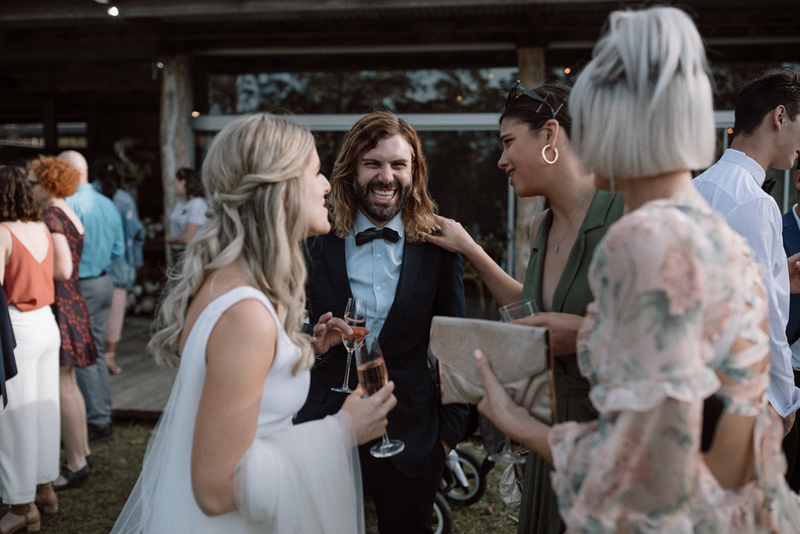 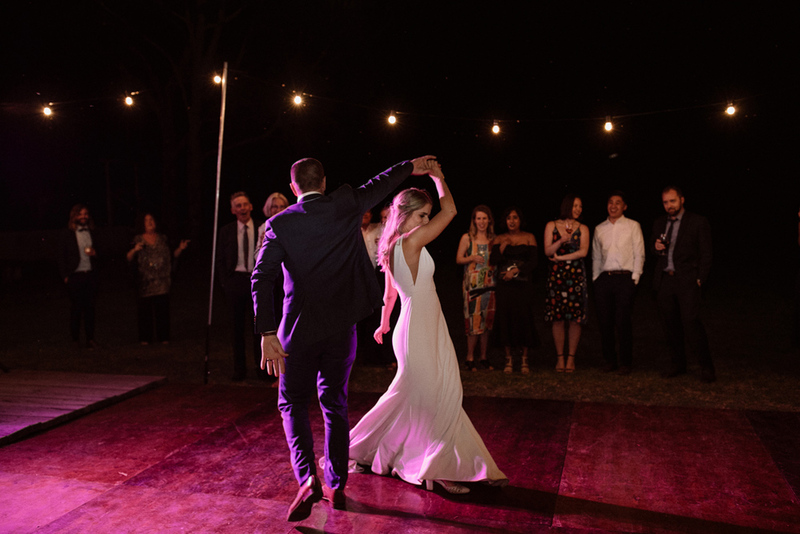 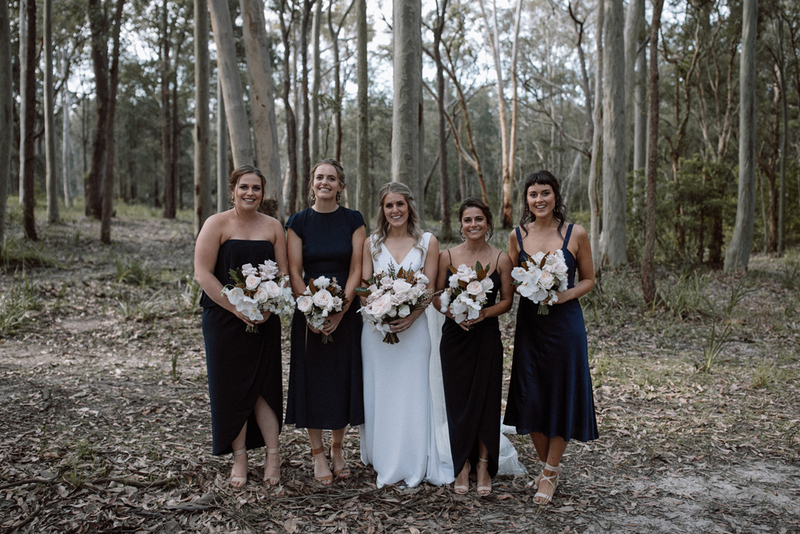 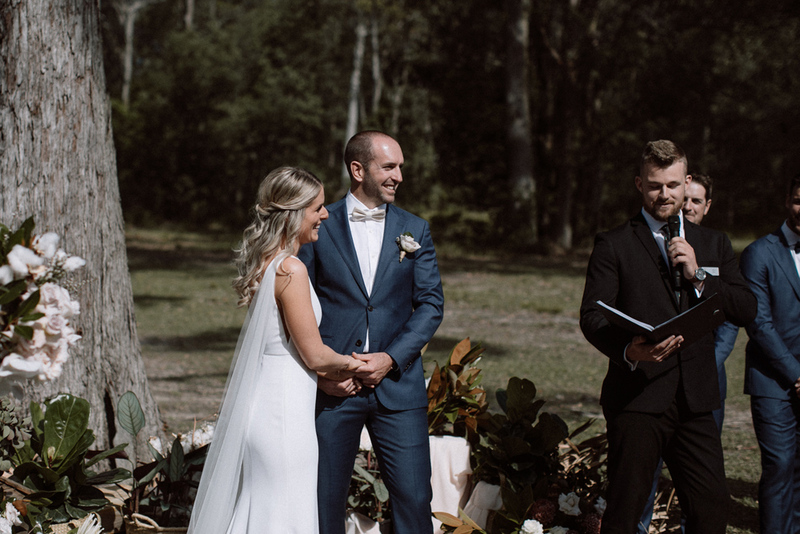 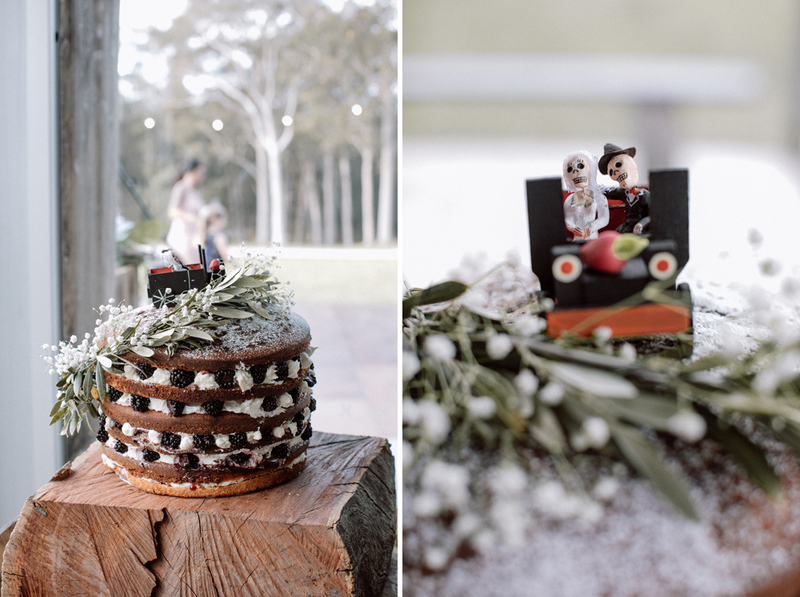 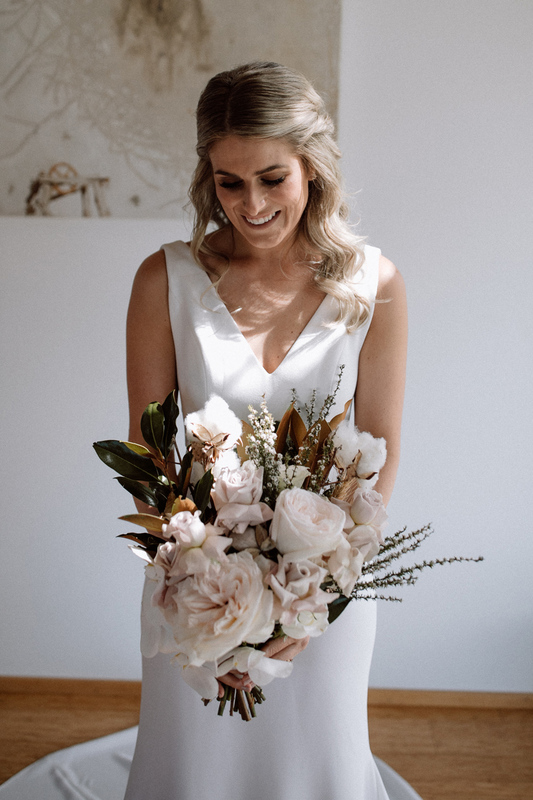 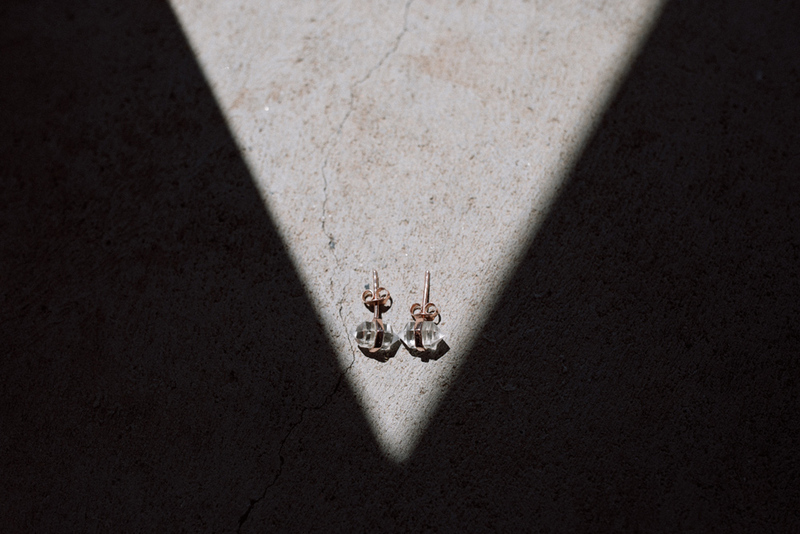 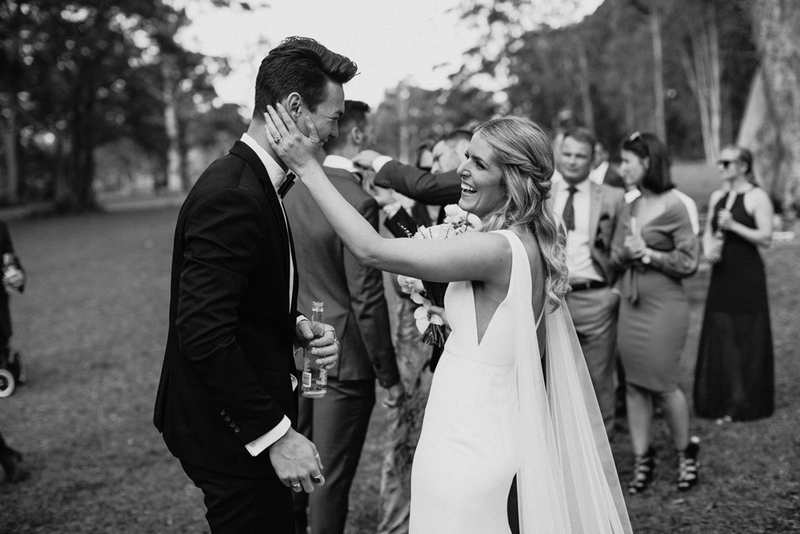 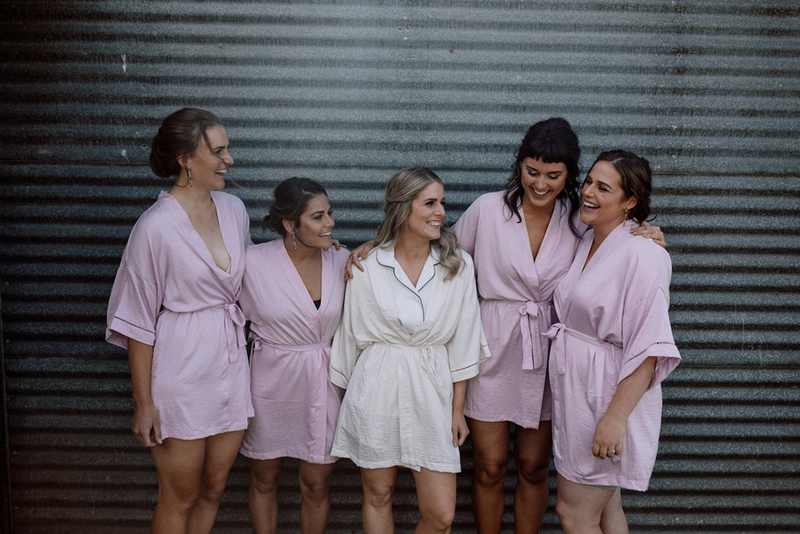 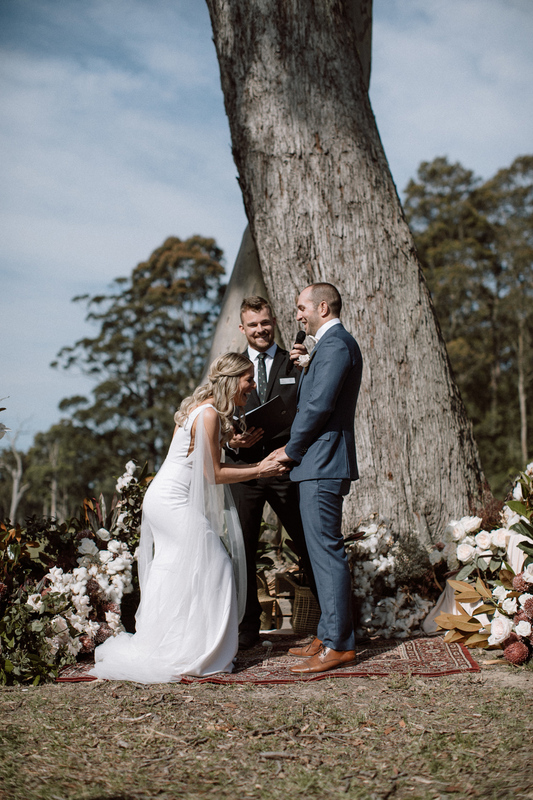 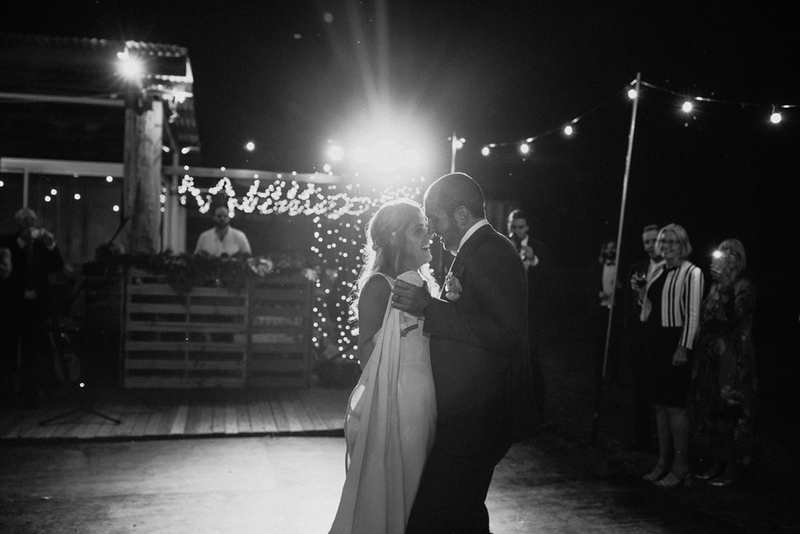 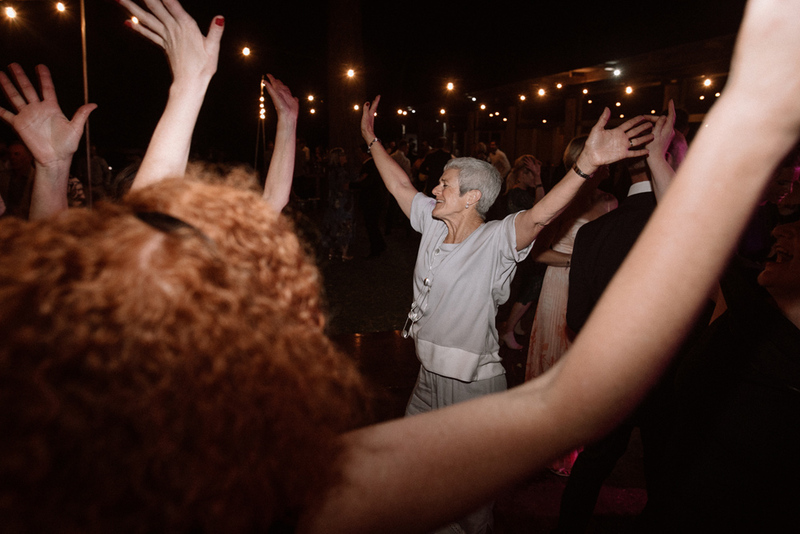 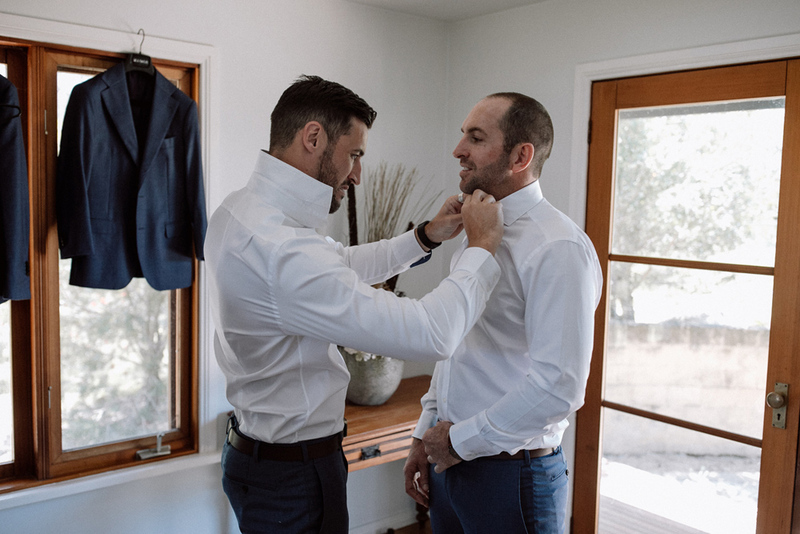 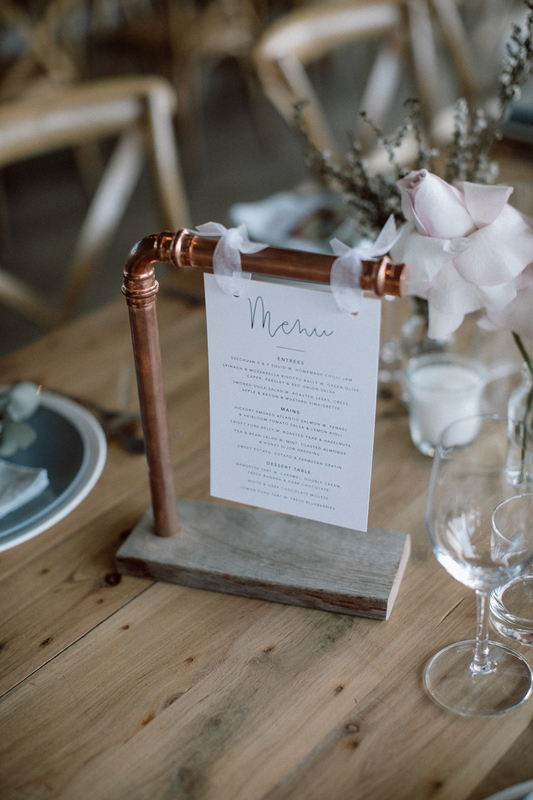 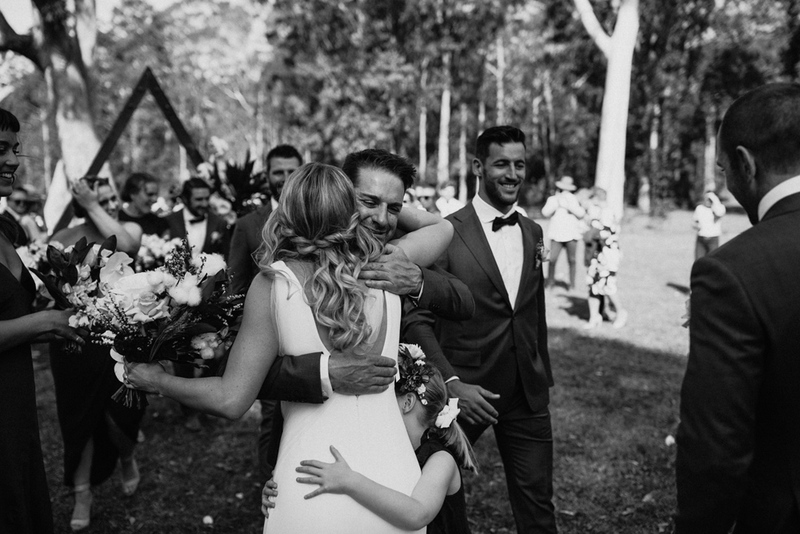 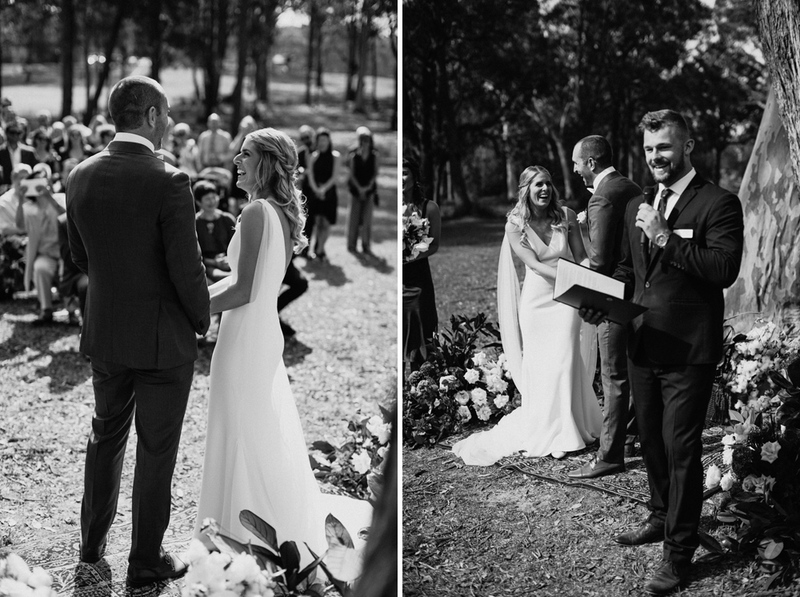 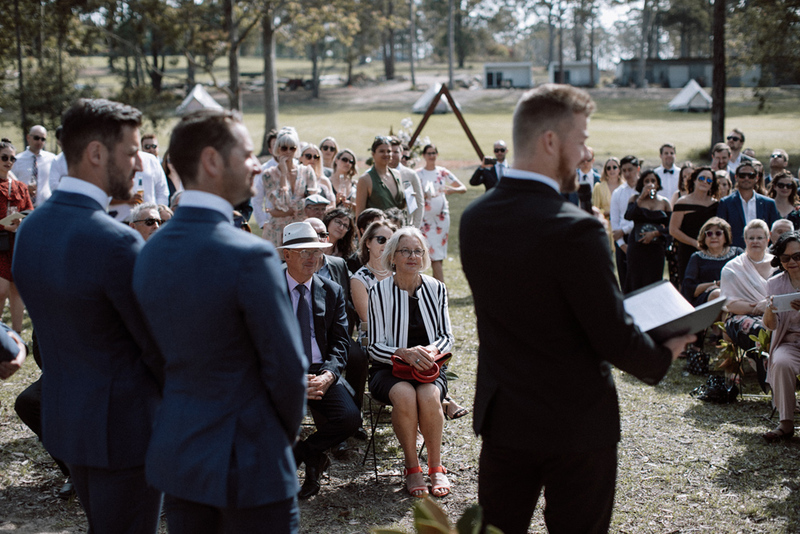 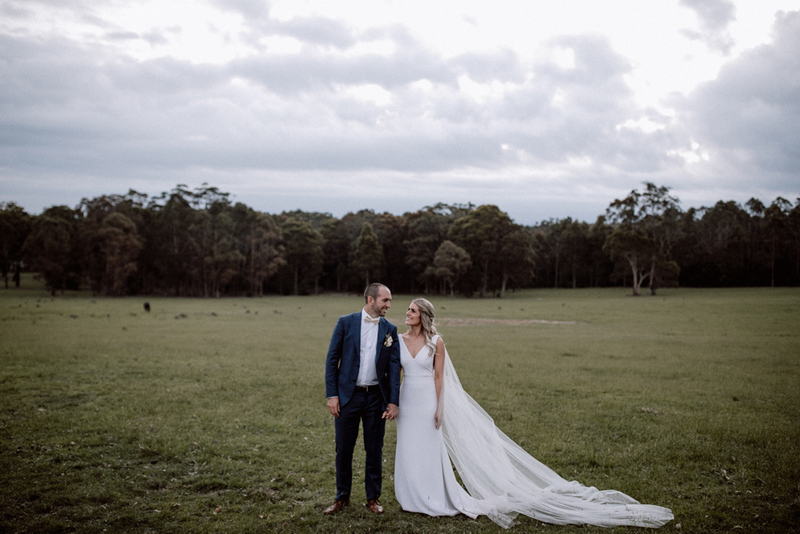 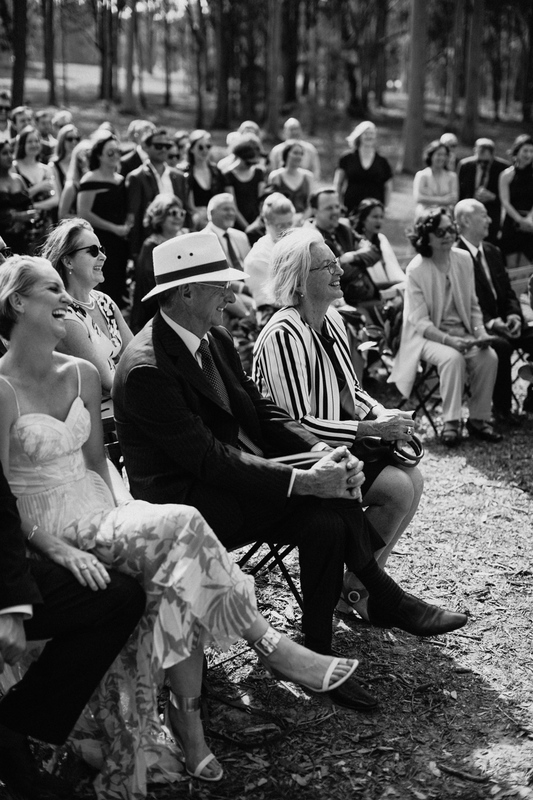 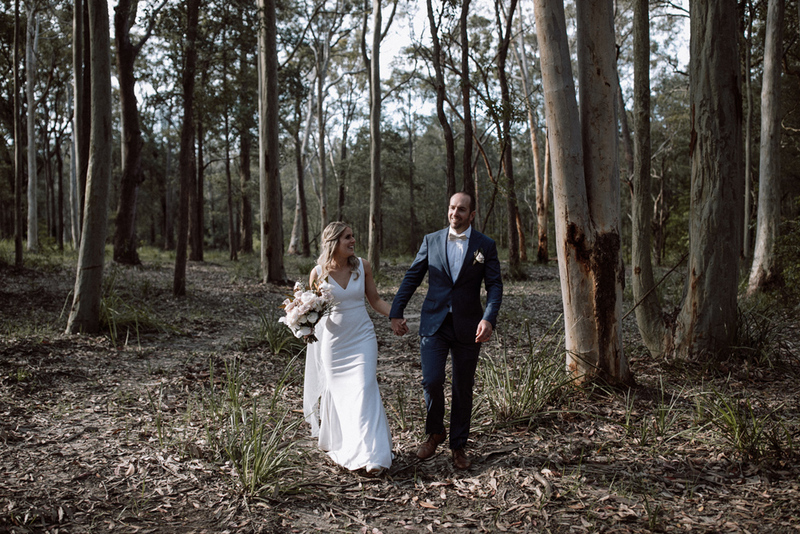 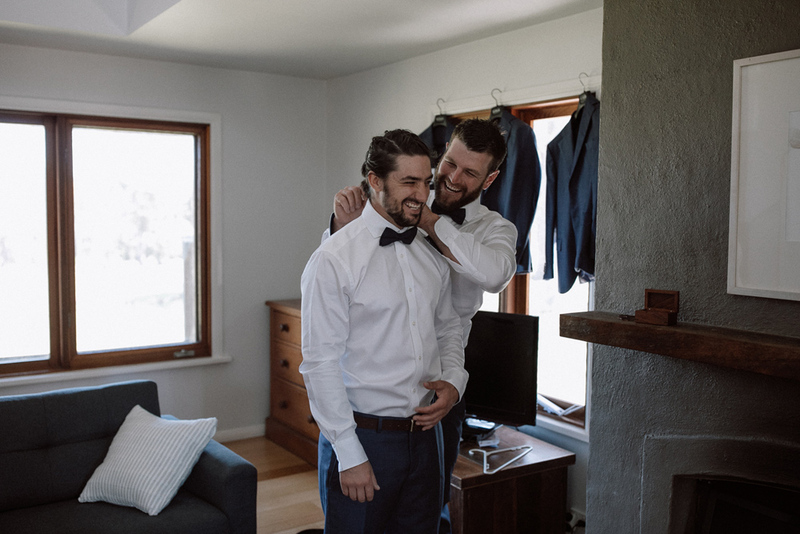 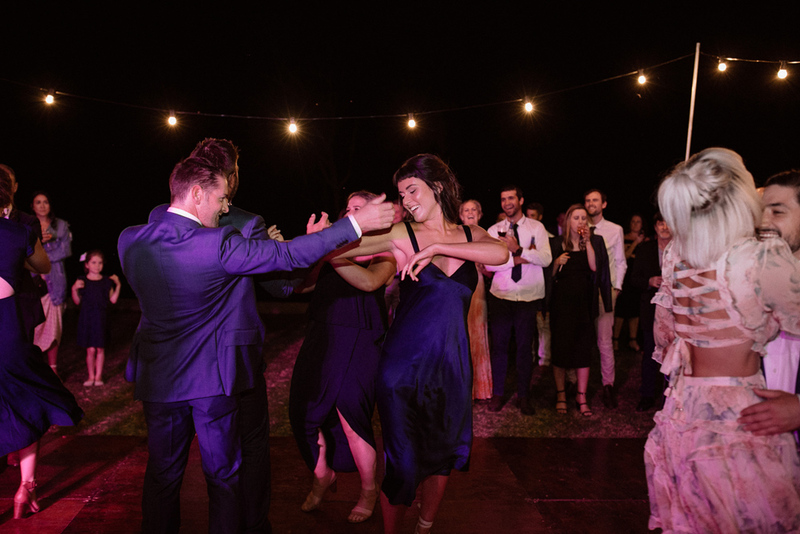 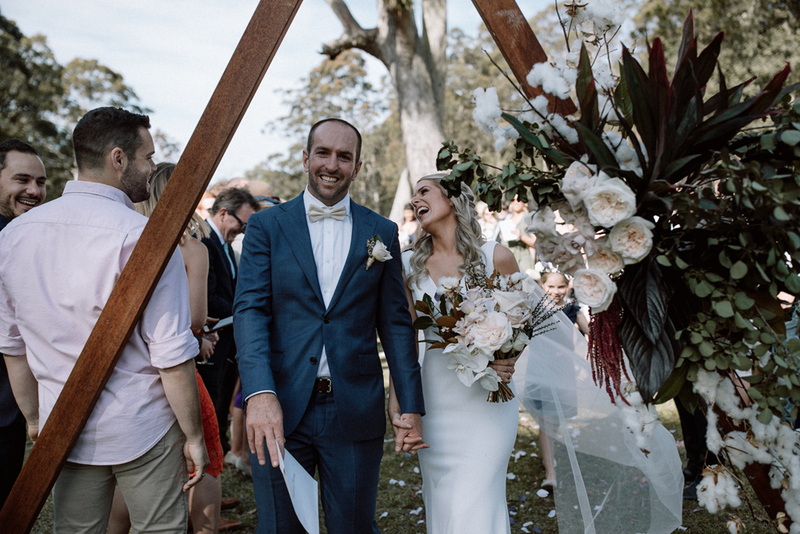 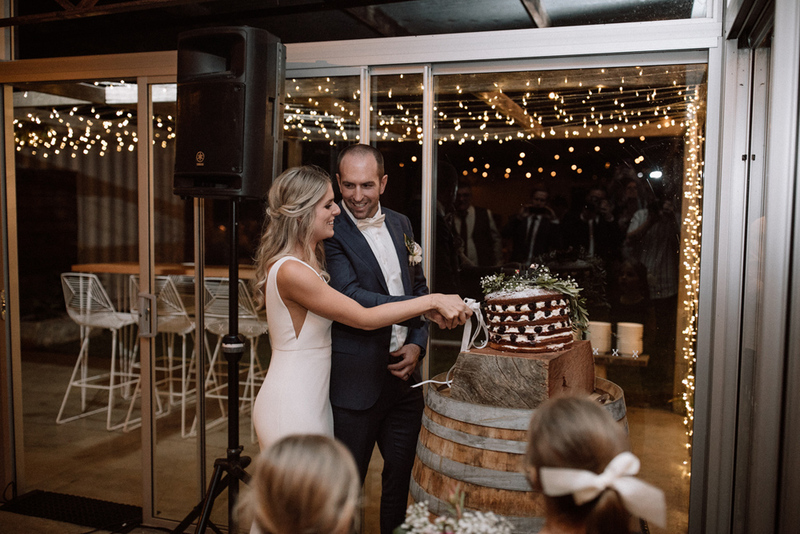 Angie and Tom were married the stunning bush venue that is Worrowing Jervis Bay on the South Coast of NSW, about two and a half hours south of Sydney. 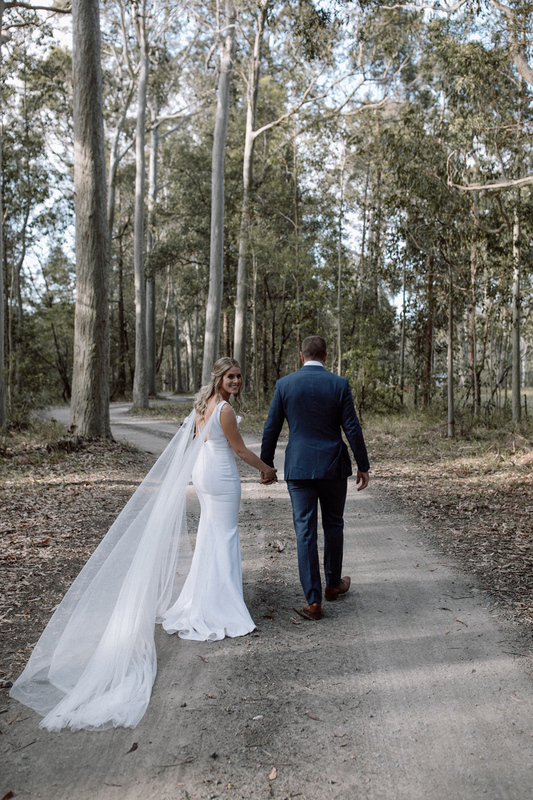 This was the first time I had shot at Worrowing Jervis Bay and I was incredibly impressed, its an amazing wedding venue. 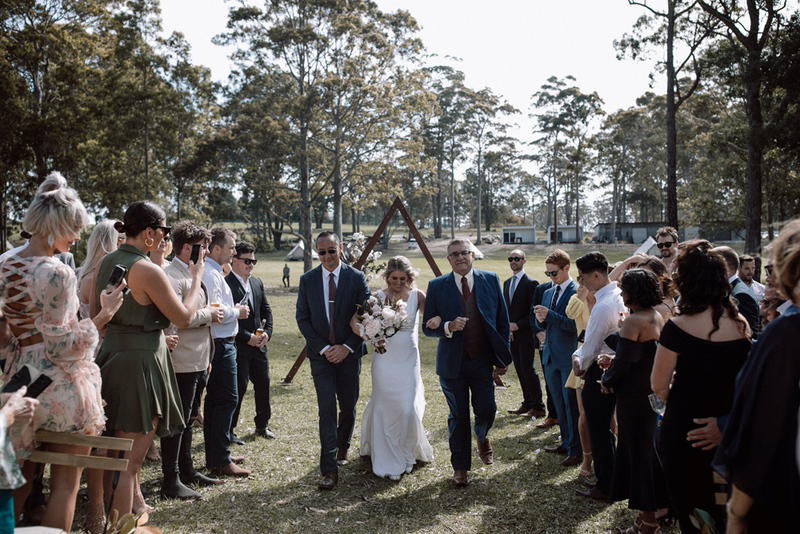 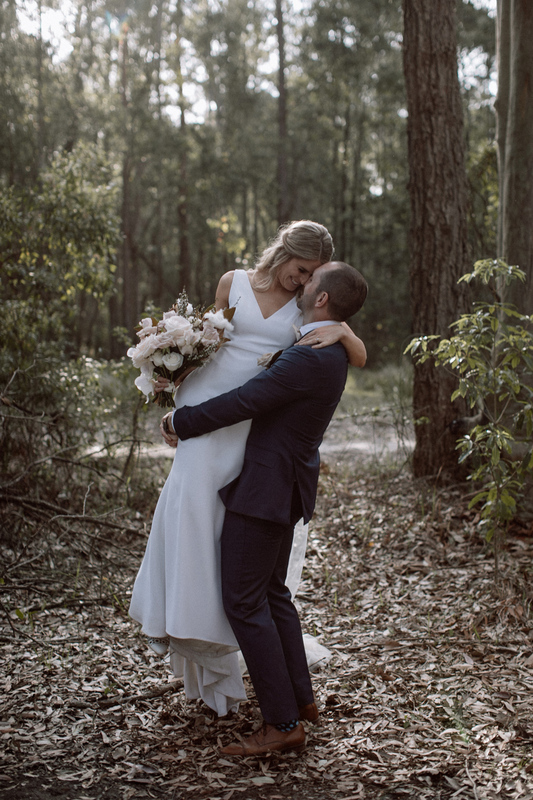 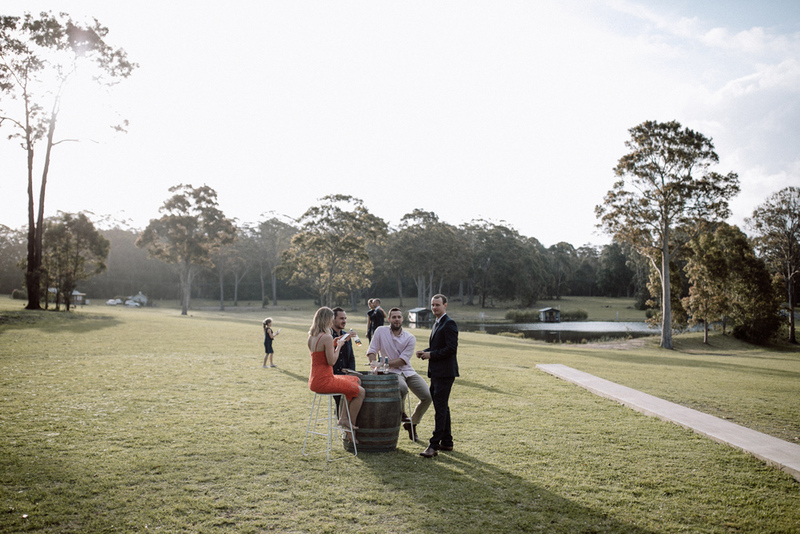 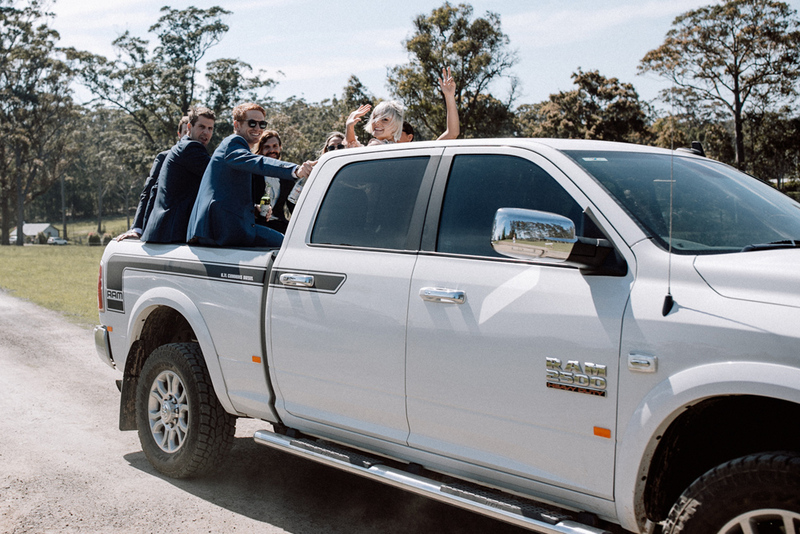 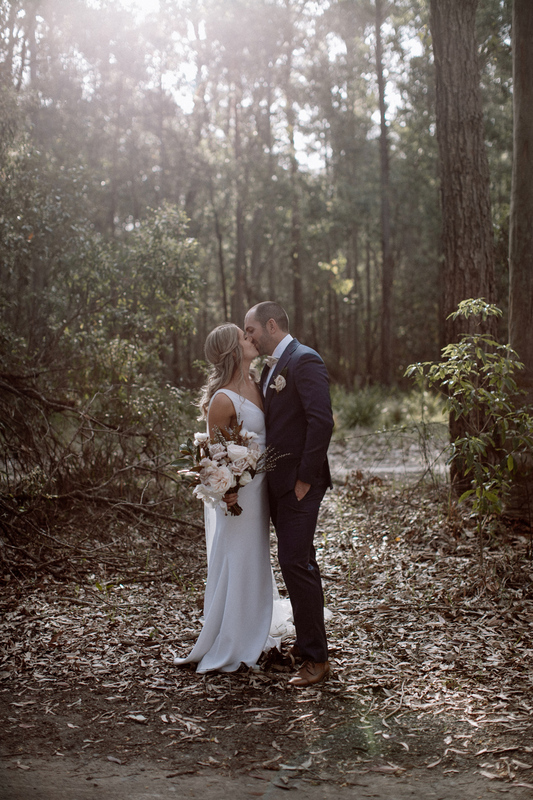 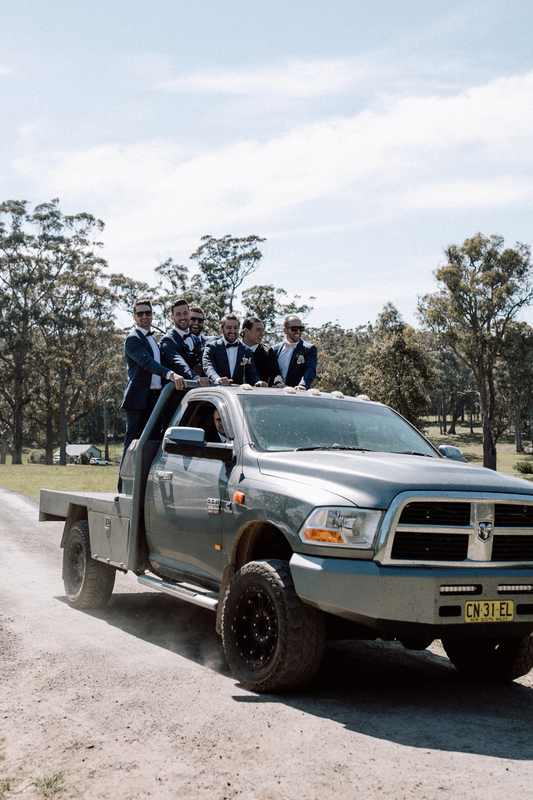 Worrowing is huge, with a variety of different scenery such as bush, fields and a billabong which made for epic wedding photography. 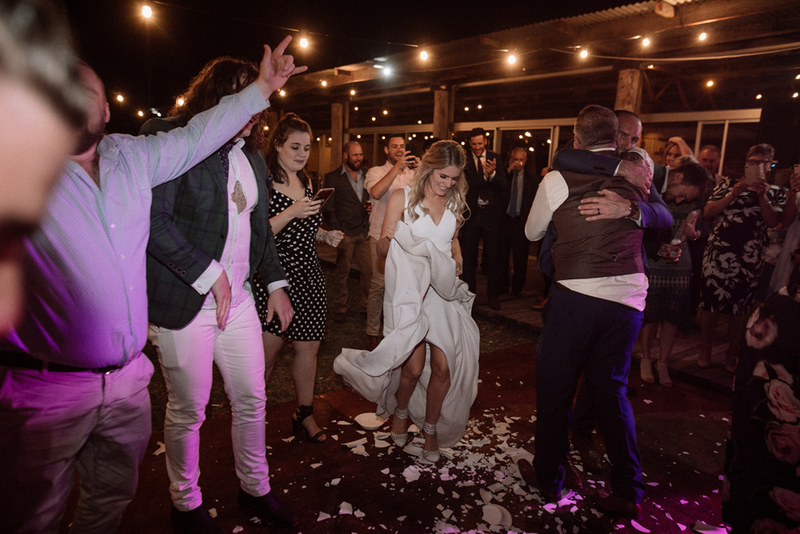 I knew when I met Angie and Tom a year prior, I knew that we were going to get along great and it ended up being exactly the cruisey fun wedding day I expected. 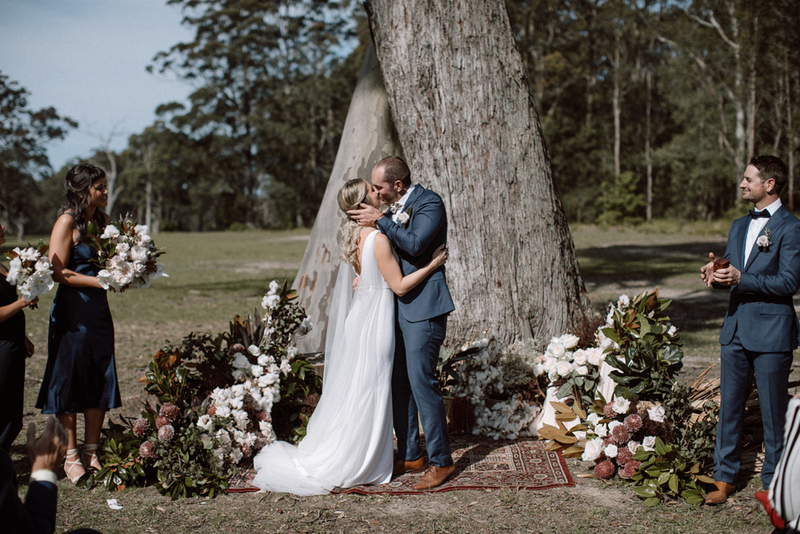 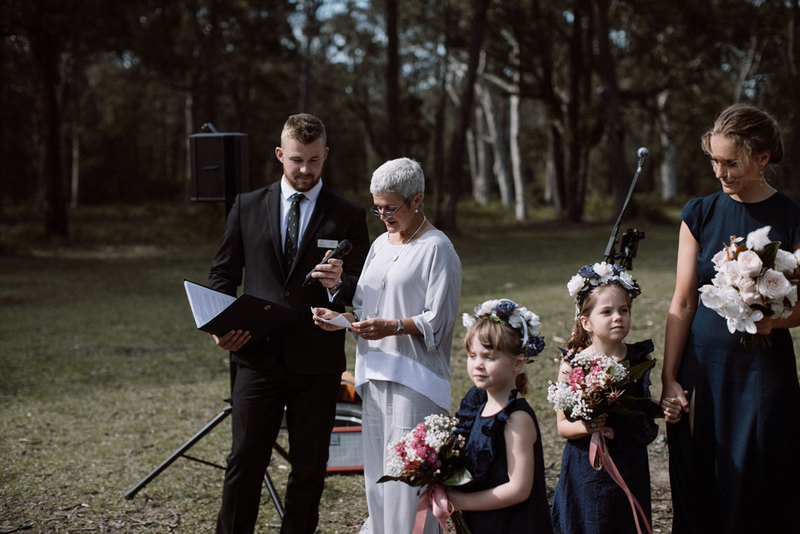 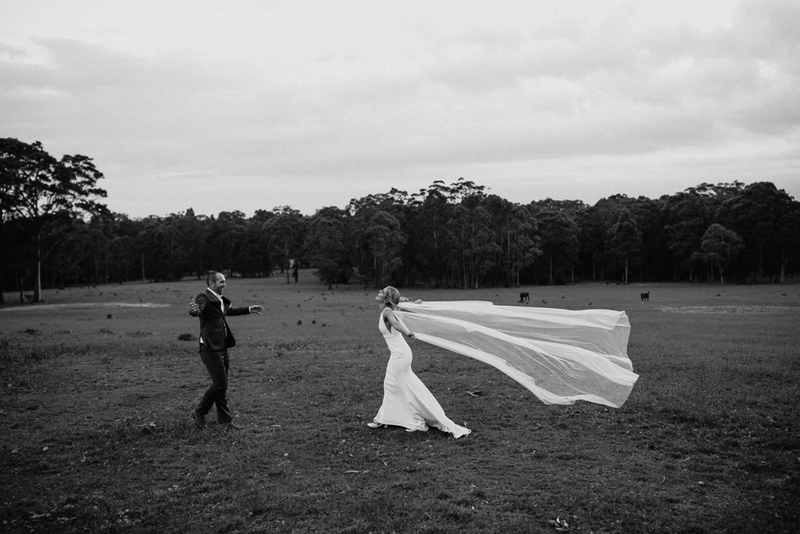 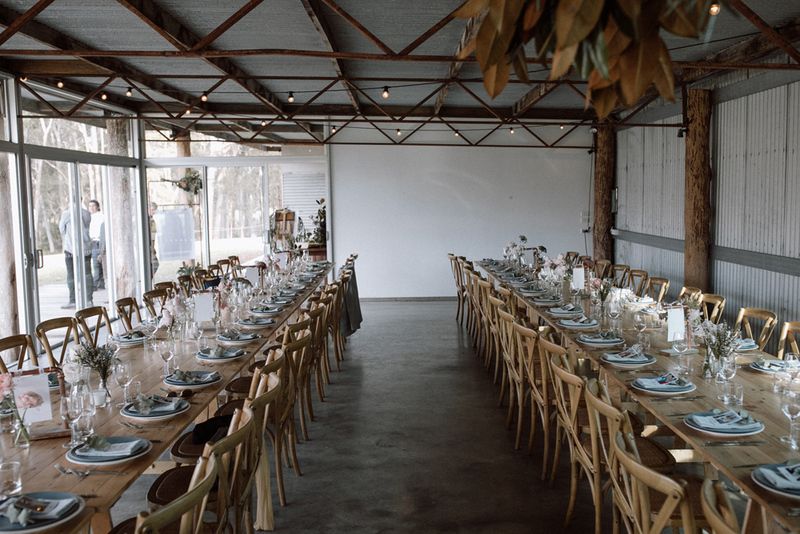 The South Coast is one of my favourite places and I would recommend anyone have a South Coast Wedding, especially at somewhere as epic as Worrowing Jervis Bay. 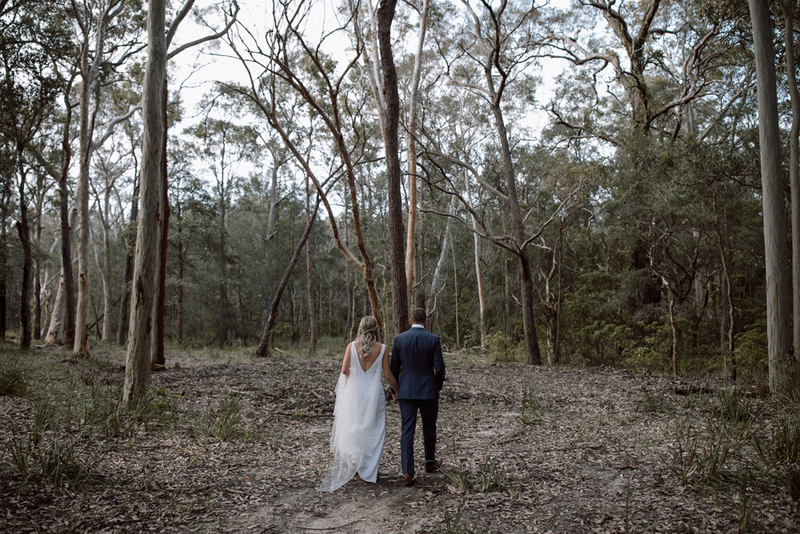 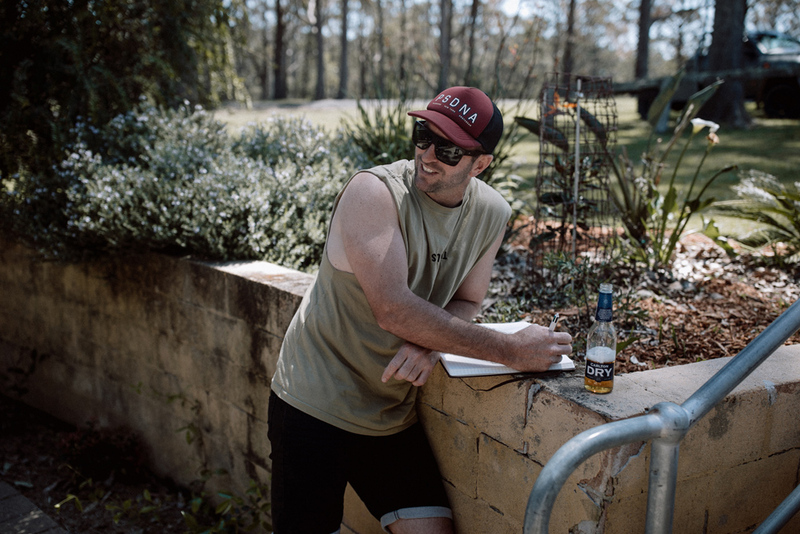 As this was the first time I had shot as a Worrowing Jervis Bay wedding photographer, I headed down to the venue early to suss the spots. 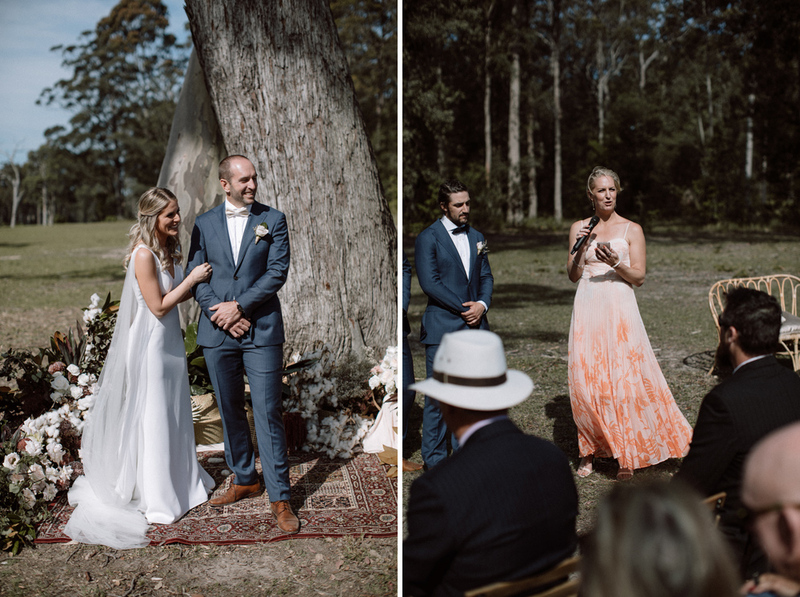 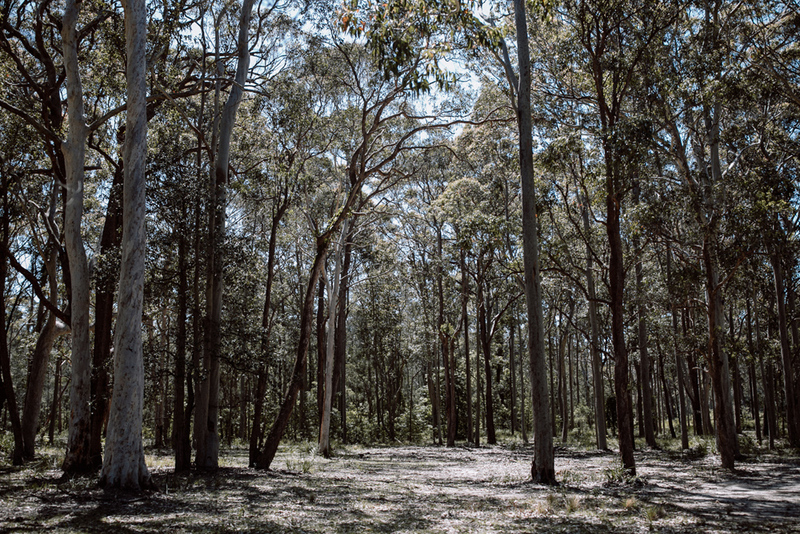 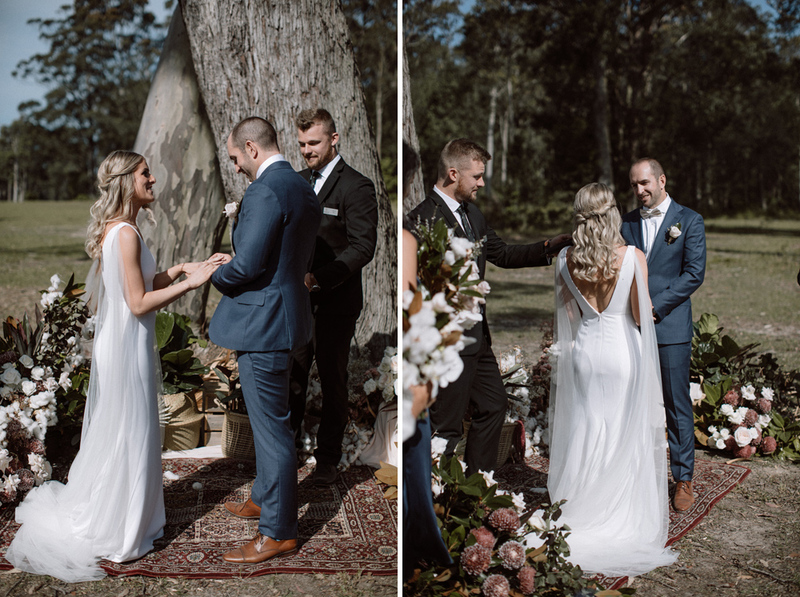 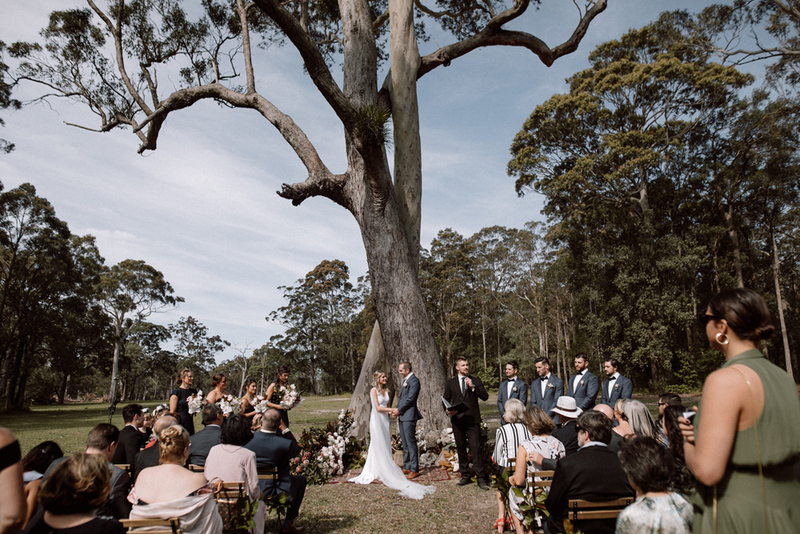 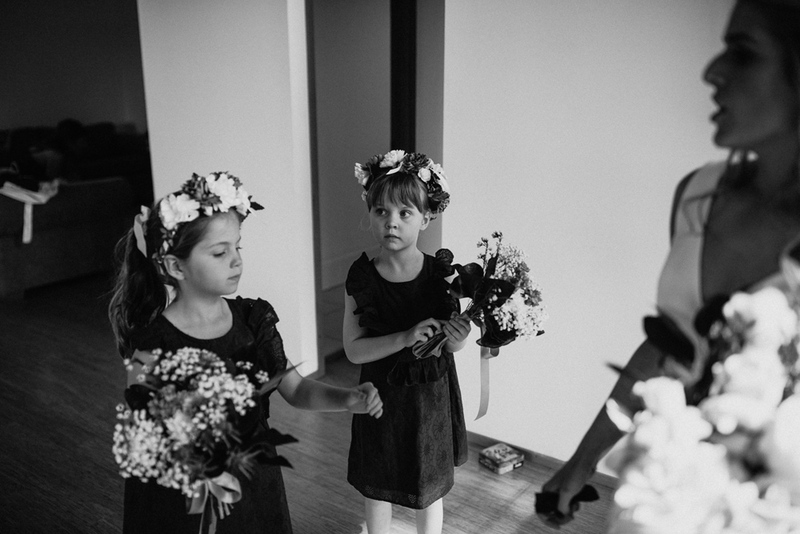 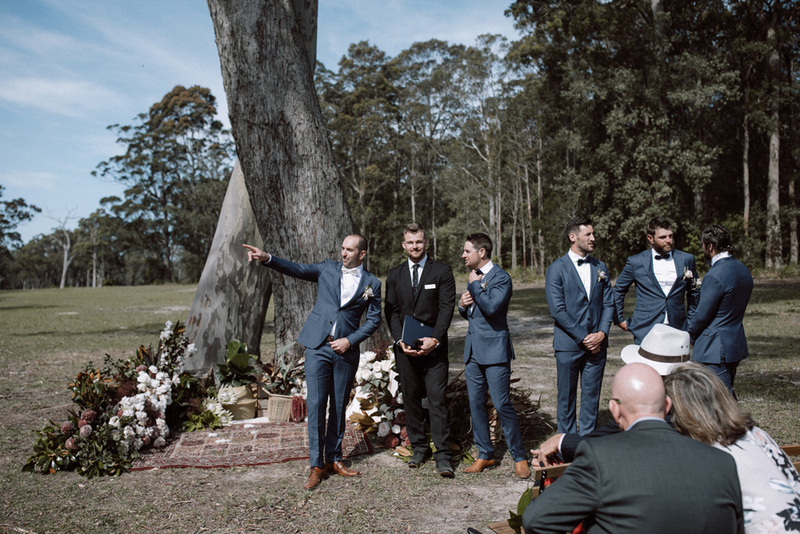 The ceremony was held next to a huge intertwined gumtree in a clearing in the bush. 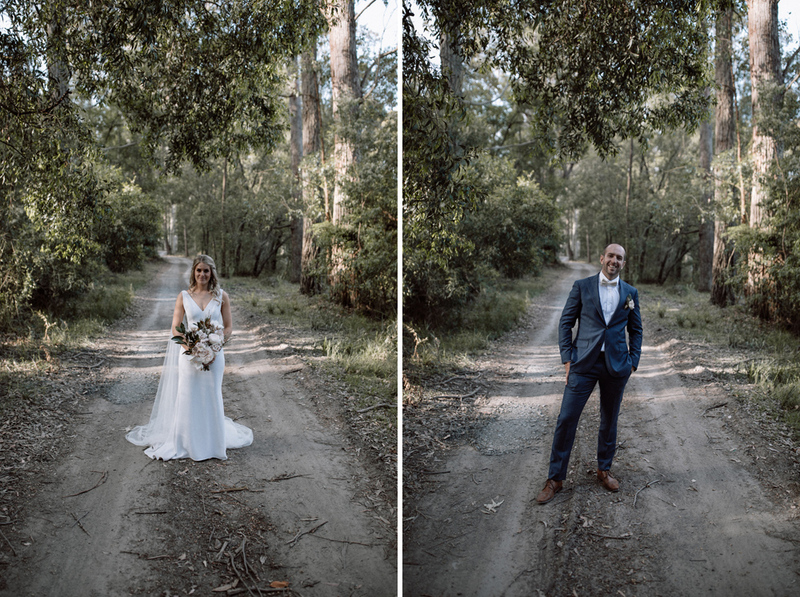 The surrounding bush was perfect for South Coast wedding photography so I decided on doing the post ceremony portraits there. 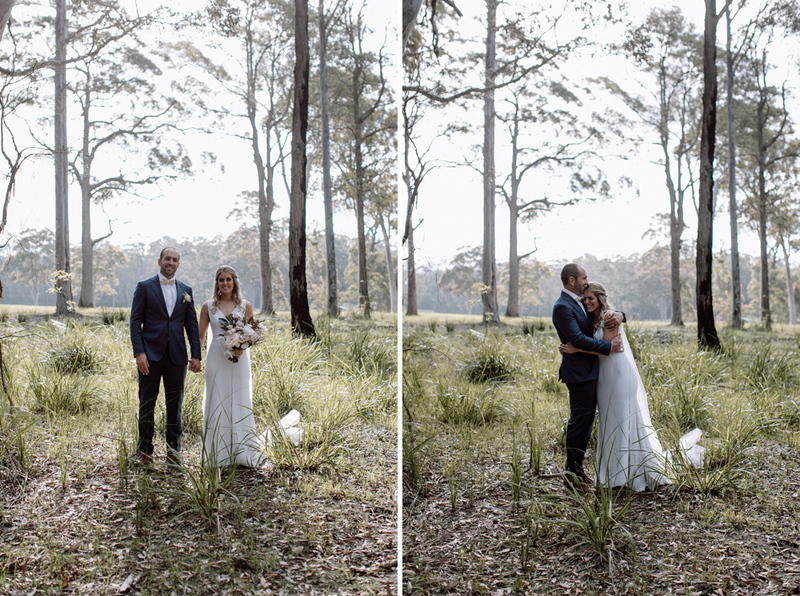 Later in the afternoon at sunset (or cloudset on this particular day) we snuck out to the field to take advantage of the view. 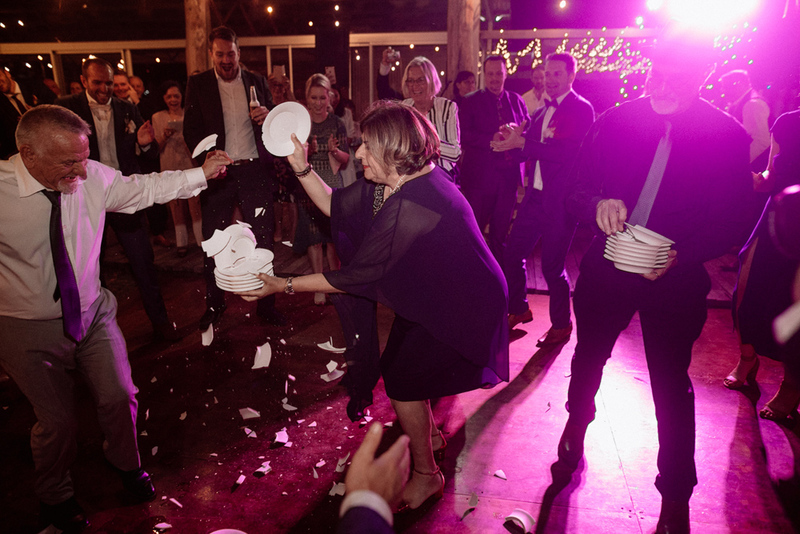 That evening the party got into full swing with some greek dancing and traditional plate smashing, with the festivities raging late into the night.